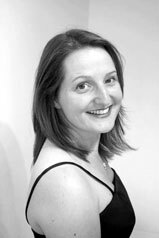 Jill enjoys a highly successful and varied career as soloist, chamber musician and teacher. Her performances have taken her throughout Britain and across Europe and have received critical acclaim. Since making her professional debut in 1994, she has performed in all the major concert halls throughout Britain including the Royal Albert Hall, London and has worked with many eminent conductors including James Laughran and Sian Edwards. She has performed in St Martin in the Fields, St James's Piccadilly and the Purcell Room in London and has also appeared at the Three Choirs Festival. She was delighted to take up the position for a season as Pianist in Residence at the Banff Centre for the Arts in Alberta, Canada where she performed regularly as soloist and as collaborator with internationally renowned musicians. Jill studied with Joan Havill at the Guildhall School of Music and Drama and was awarded the prestigious Concert Recital Diploma (Premier Prix) in her final year. Throughout her study there she was supported by generous scholarships from the Countess of Munster Musical Trust and Sir James Caird's Travelling Scholarship Trust. Whilst studying, she won many prizes including the Eastbourne Young Soloist Award and the Spencer Boney prize for a performance of French and Spanish music. She was subsequently selected to represent the Countess of Munster Musical Trust as an artist on their Recital Scheme and this resulted in many successful performances for music clubs. She is highly in demand as chamber musician and has performed on numerous occasions with the Edinburgh Quartet in venues throughout Scotland including performances at the Loch Shiel Spring Festival. 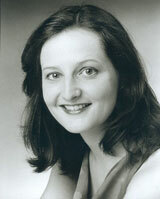 She enjoys performing with Marianne Olyver and her Orchestra in programmes of Romanian and Hungarian gypsy music. Jill is also in demand as a teacher and has given highly successful masterclasses at Douglas Academy Music School, Aberdeen City Music School and Aberdeen University.